The IEA concludes that to meet long-term climate goals, renewable energy development in the heat, electricity, and transport sectors must accelerate. Transportation has clearly emerged as the most difficult sector to decarbonize. 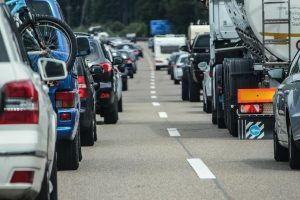 The need to accelerate the de-carbonization of all forms of transportation leads the IEA to call for implementation of “the right policies”, which leads naturally to the question: What are the best policy drivers for decarbonizing transport? To draw from experience, we should first consider the state where policy is most effectively driving the decarbonization of transport: California. Through a market based crediting system, California’s Low Carbon Fuel Standard (LCFS) is supporting rapid development and accelerating uptake of all commercially available low carbon biofuels, including ethanol, biodiesel, renewable diesel, and renewable natural gas. And beginning in 2019, the program will also encompass alternative jet fuel and renewable propane. Since 2011, the LCFS has resulted in 13.7 billion fewer gallons of petroleum being combusted and has prevented 38 million tons of carbon pollution. Given this performance, this policy structure warrants thoughtful consideration. The LCFS rewards fuels for reducing their carbon intensity, is technology neutral, and stimulates investment in biorefineries and advanced technologies. California’s program has increased the value of the global clean fuels market by an estimated $2.8 billion. This strong market signal is motivating investment to build facilities that can supply California’s growing low carbon intensity demands. Building on this success, a comparable carbon-intensity based policy has already been implemented in Oregon, and similar policies are being actively pursued in Washington State and discussed in the Midwest. While the road to transport decarbonization remains arduous, it is increasingly clear that a low carbon fuel standard is a critical policy tool that leverages the power of modern bioenergy as well as future transportation technologies. 1) What are the best policy drivers for decarbonizing transport? 2) Do standards such as California’s have a higher likelihood of widespread adoption compared to plans such as a carbon tax? 3) What areas of the transportation sector would experience the greatest return on investment for low carbon standards implementation? I would find it helpful if there was further quantification in this discussion. For example, how does is a reduction of 13.7 Billions of gallons of petroleum compare to the total gallons of petroleum consumed by transportation in California since 2011? How does 38 million tons of carbon reduction compare to the tons of carbon released over the same time period in California? What is the upper practical limit for bioenergy production in California per year taking into account water and land use, energy input, possible nitrogen run-off, costs, etc.? Ethanol has about half the energy density as gasoline. Has this been accounted for? Renewable natural gas (RNG) has grown very rapidly in its share of California’s low carbon transport fuel market. Much of that RNG has come from outside California and is based on waste materials such as dairy manure, landfills, etc. Waste is a large raw material source, but not nearly large enough to satisfy the total demand for RNG for transport. With a guaranteed market provided by the Low Carbon Fuel Standard, gas pipeline access and available biomass to biogas to RNG technology, an order of magnitude more RNG could be provided by growing energy crops on fallow land (double cropping) throughout the Farm Belt in the United States. There is no “food versus fuel” conflict because the double crop is grown in addition to the traditional food crop. Recycle of the digestate to the farmer’s fields increases soil carbon and reduces the cost of fertilizer to the farmer. In Italy, farmers instituted large scale, on farm biogas to electricity systems using available wastes and double crops. With a feed-in tariff for renewable electricity guaranteeing a market for the electricity, this industry grew very rapidly to its present scale of about 1.4 gigawatts. During its exponential growth phase, the doubling time was 14 months. This is by far the fastest doubling time for any renewable energy system that I know of. The system achieved roughly 90% reduction in overall GHG emissions compared to conventional electricity. American farmers could do the same as their Italian colleagues did. Given the guaranteed market for RNG provided by California, access to the necessary capital to build out the biogas and the biogas to RNG plants and some entrepreneurs to lead the first wave of adopters, a very large scale RNG industry based on wastes and double cropping could emerge here also. For transportation power, a carbon tax on non-renewable portions of energy makes sense and could complement the California LCFS by including the price of GHG effects in the pricing of renewable and non-renewable fuels and committing the funds to focused renewable fuel research and infrastructure development. The simplest and fastest way to accomplishing this is adding a Non-Renewable Carbon User Fee to the portion of liquid transportation fuels and natural gas made from non-renewable sources. Estimates for the Climate Change effects of these fuels begin at about $50/ton of non-renewable carbon and increase to over $100/ton when costs for as research and infrastructure changes are included. While these costs may sound overpowering, they translate into only 3.5% to 7% increases in current gasoline prices. This is less than the changes in most monthly gasoline prices. More important, as renewable content increases, the fee for the consumer decreases. This addresses environmental justice issues by making highly renewable fuel in poorer areas less expensive and better for air quality. If renewable content was increased from the current 10% to an achievable goal of 85%, an average motorist would see an annual reduction of $74.80 to $17.60. This also addresses concerns about energy density. In older vehicles, the price differential should compensate for lower mileage at very high (E85) ratios while making high octane/high ethanol blends (E25-E40) available to encourage production and purchase of vehicles with more efficient engines. See recent DOE research on this topic. Also, there is no need for new bureaucracy as the fee can be added to the price at the pump, including the non-RNG portion for CNG or LNG vehicles. To capture the non-renewable portion of EV power, the same sort of fee on non-renewable portions of electricity (for whatever use) should be considered. Think of this as a disappearing gas tax or disappearing carbon fee. As the portion of renewables increases, the fee decreases. It would be on top of a needed increase of highway user fees. For the last half century (McKinsy Global Institute 2017) the labor productivity of American agriculture has grown at an average rate of 4.5% with simultaneously large increases in crop yields per acre. The productivity growth in the U.S. economy over the same time has been less than half that. One industry has had a zero productivity growth rate—construction. If one uses past performance as a basis of predicting the future, one would bet on biofuels. That implies there is a real potential to get more decarbonization per dollar spent than with other options–whatever biofuels policy one choses to adopt. By Ron Gremban Chief Electrical Engineer, Brillouin Energy Corp.
Don’t rule out the role of electricity, both as a fuel source and as an energy transport medium, along with vehicle electrification. Electric vehicles are very efficient, with 70-80% of incoming energy going to the wheels vs. up to 30% for strong hybrids, 20-20% for Diesel trucks, and 15-20% for ICE autos; and EVs are cleaner, quieter, and more responsive than ICE vehicles, no matter what they burn. Electricity is increasingly renewably generated, making an EV even cleaner as it ages, and nighttime EV charging helps to even out loads and make the grid more efficient. I remember (but would have to look up) a study that found biofuels burnt in a power plant that powers EVs to be significantly more efficient, ‘farm’-to-wheels than burning them in ICEs. Of course, we have our whole existing fleet of ICE vehicles to fuel, but having the electric grid participate equitably in an LCFS can help lower carbon emissions while also helping to incentivize the rate of EV penetration into the fleet.